Remember that pleasing feeling of writing on lined paper back at school? 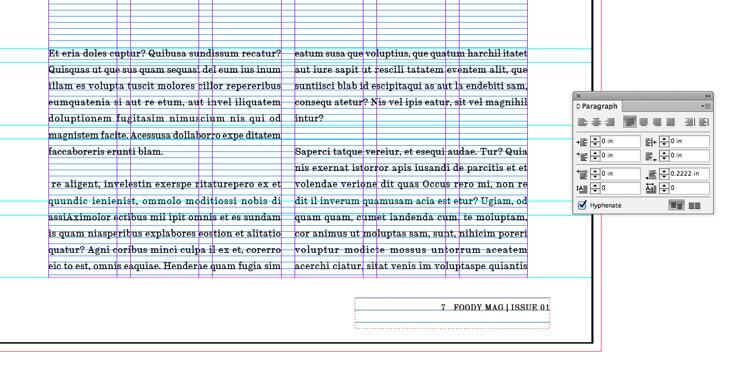 InDesign’s baseline grid function helps you to replicate just that, allowing you to space text evenly across your whole document. Baseline grids are super simple to use and instantly make layouts look ultra-professional. Let’s look at how to activate them and snap text to the grid lines. Why Do I Need to Use a Baseline Grid? A baseline grid is a grid of horizontal lines that are evenly spaced across your document. Without the grid visible it can be tricky to make your text perfectly aline across your document. 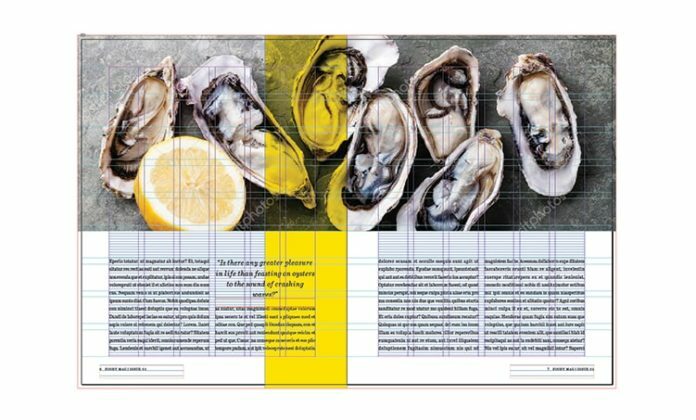 A baseline grid is particularly handy for multi-column or spread-based layouts, like magazines, flyers or EPUBs, where you have multiple text frames lined up next to each other. 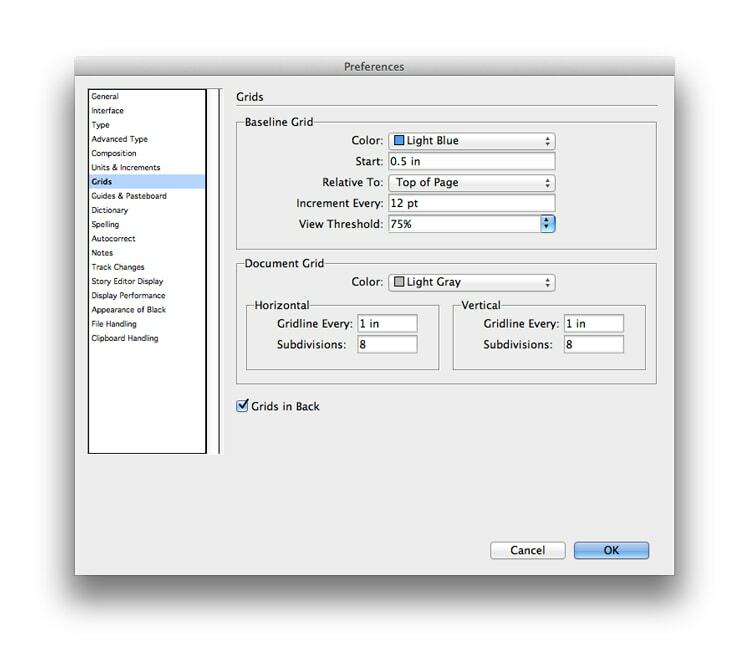 Overall, it promotes a more uniform, professional look across your InDesign documents, so it’s well worth doing. Before making the baseline grid visible you can edit its settings by going to Edit > Preferences > Grids (Windows) or InDesign > Preferences > Grids (Mac). From here, you can adjust where the grid starts on the page (from the Relative To menu you can select whether you’d like the grid to start from the top of the page or the top margin), and how far apart you want the lines to be spaced (measured in pt; you can set this to match your desired Leading setting). With your preferences defined, go to View > Grids & Guides > Show Baseline Grid. The grid will now be visible on all pages of your document. If it doesn’t appear initially, you may need to zoom into the page to make it visible. Open up the Paragraph panel (Window > Type & Tables > Paragraph). To snap text to the grid either place your Type Tool (T) cursor into one of the text frames or highlight all the text you’d like to apply the action to. Then click on the Align to Baseline Grid button at the bottom-right corner of the Paragraph panel. All the lines of text will snap into place, aligning perfectly with each other. If you save your formatted text as a Style (Window > Styles > Paragraph Styles), the same baseline grid alignment settings will apply to all text you go on to apply that style to. This is really useful if your document is very long. 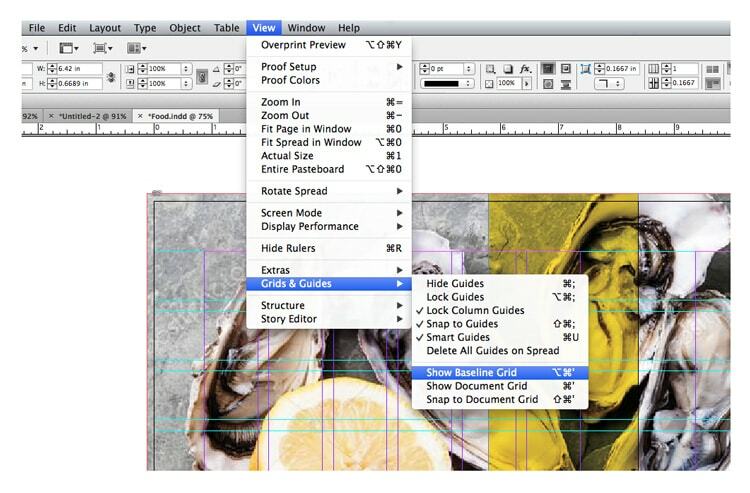 Want more InDesign quick tips? These quick and simple tutorials will turn you into an InDesign pro in no time.